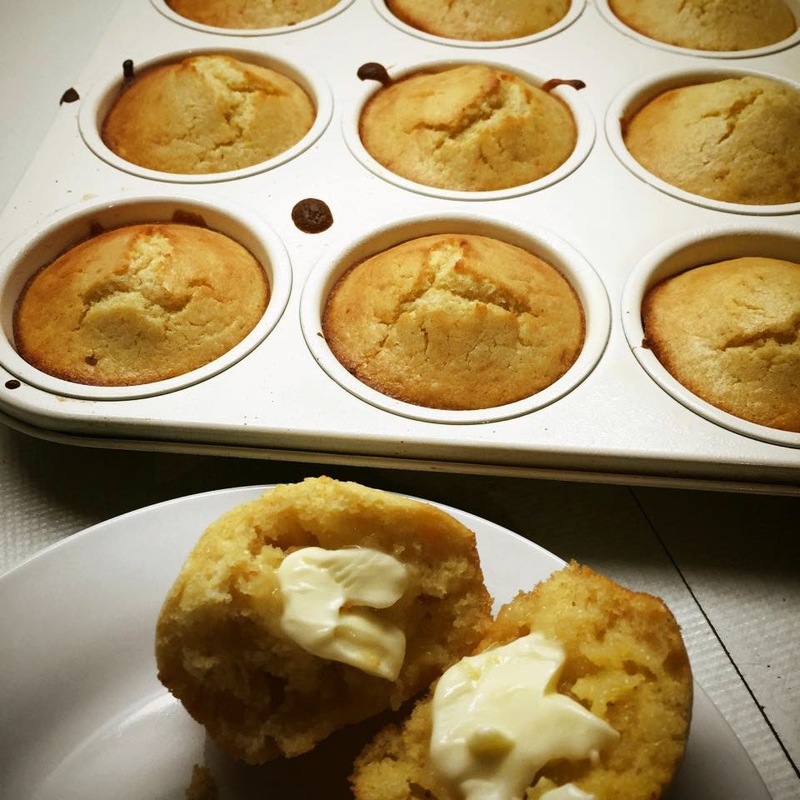 These little corn muffins are so quick and simple. They are really moist, equally perfect to serve with a lazy weekend breakfast or with chilli con carne. Always dish up when just baked and if eating with breakfast serve with some salted cold butter and a drizzle of honey. You will also need a greased 12 hole muffin tin. Whisk the egg whites until they are quite firm. Melt the butter and allow to cool slightly. Meanwhile, beat the egg yolks and combine with the milk, lemon juice, honey and melted butter. In another large bowl sift together the flour, polenta, sugar, salt and baking powder. Make a well in the centre and gently fold in the liquid. Be careful not to overwork the mix or it will become tough once cooked, now gently fold in the egg whites making sure to combine completely. Spoon into the prepared tin. Bake straight away in the preheated oven for *18-25 minutes or until a skewer inserted into the middle of the cornbread comes out clean. *Check after 18mins of baking, the difference on bake time will depend on how fresh the polenta is.